Summer is coming, we might as well skip spring season. How is your backyard looking? Did it survive the cruel winter? If not, don’t worry there are million ways to rejuvenate your beautiful yard, but we have chosen the best 10 ones. With just a few steps you can turn your backyard in to a place where you can hang out with your friends, make a pleasant atmosphere using nature’s resources and other things that are on this list. The carefully chosen ideas are budget friendly so that everyone can do them. If you dream of a cool yard with a place to hang out scroll down for more. Make your backyard magical, pick a project and start today! Keep the dogs and cats and other animals away from your plants. 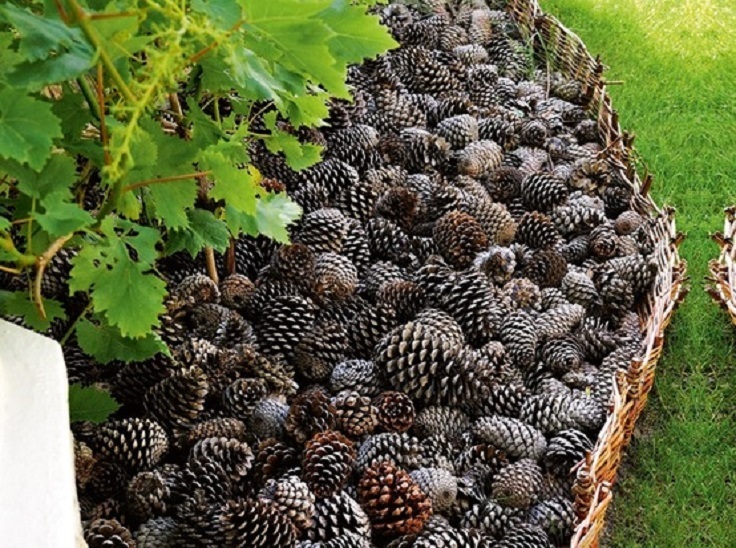 Collect pine cones from your yard or from the nearest park. Make a low fence using branches or a chicken wire. Fill the inside circle that you’ve made with the pine cones. Cinder blocks can be found everywhere, if you can’t find them buying a pair isn’t expensive. Simply paint them in whatever color your prefer and use them as a coffee table or a beautiful flower box. Make sure you place them on a flat surface. Once again cinder blocks are here to save the day. 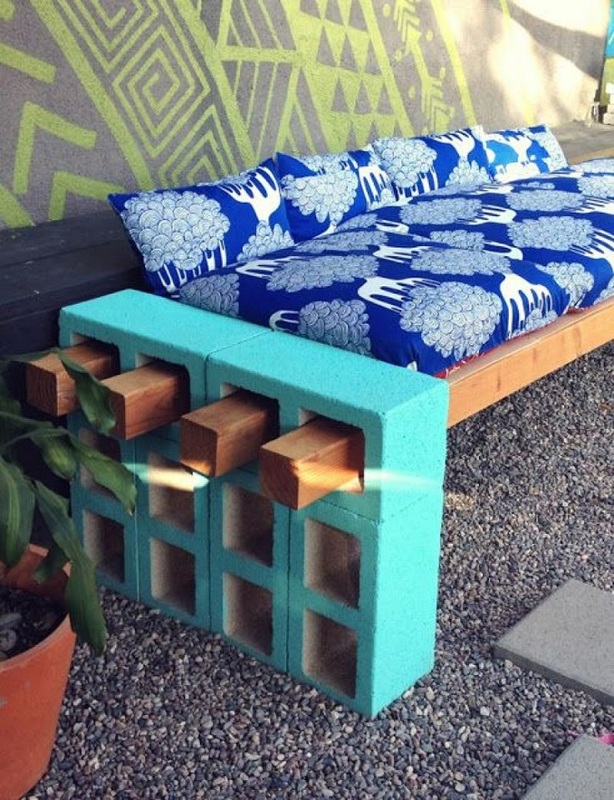 For this couch you will need: 4 cinder blocks, 4 pieces of lumber and cushions. Start with painting the cinder blocks. Place 4 cinder blocks vertically, and 2 that go on top horizontally. Insert the wood through the holes of the cinder blocks. Finish with placing the cushions. 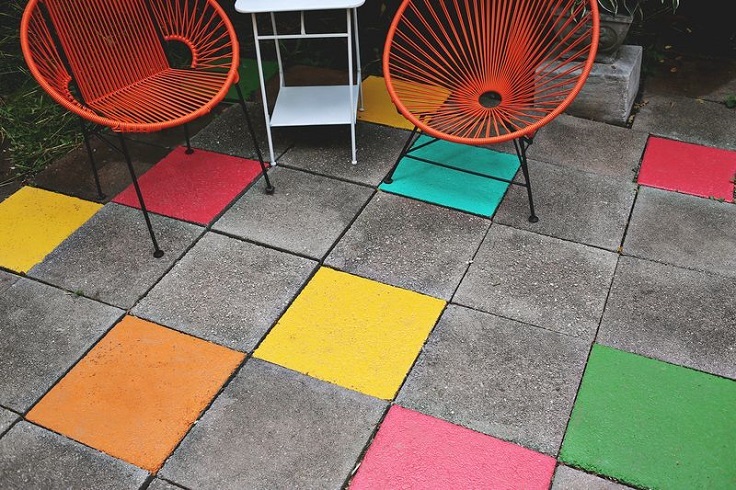 Paint the plain old tiles and make them look like a fun playground. Just mix some paint with latex porch and floor paint. Randomly paint the tiles of your yard, do it couple of times. You will need more layers until the color firms. Repurpose an old chandelier and feed the little flying animals. 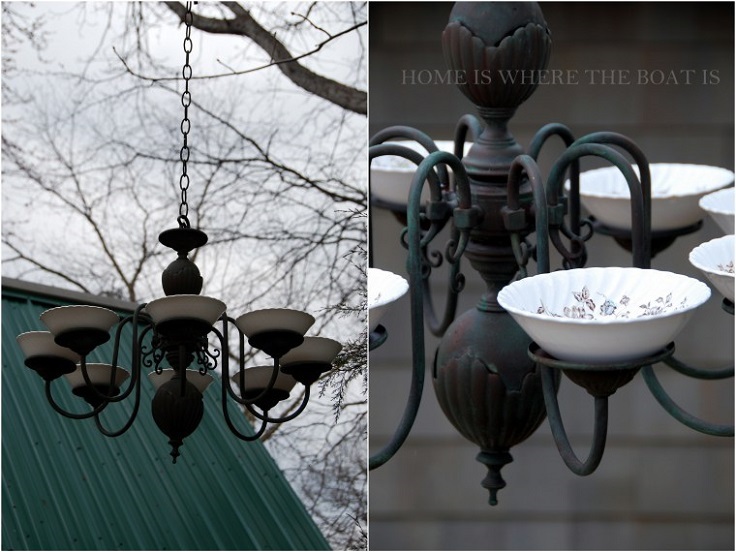 If you or your grandmother own a vintage, rusty chandelier don’t think about throwing it away! Find a strong and steady tree branch, instead of the bulbs place small plates filled with bird food, hang the chandelier on that branch. When the night comes your backyard will be a place from a book of fairy tales. Get regular pebbles and glow-in-the-dark-spray. Spray the pebbles and scatter them all over the grass or make a pebble path. Everyone will be amazed by the view. Turn the good-for-nothing tree stamp in a fairy home! Get mini accessories like a door, fence, tiny windows, fake flowers, butterflies and some fake grass. 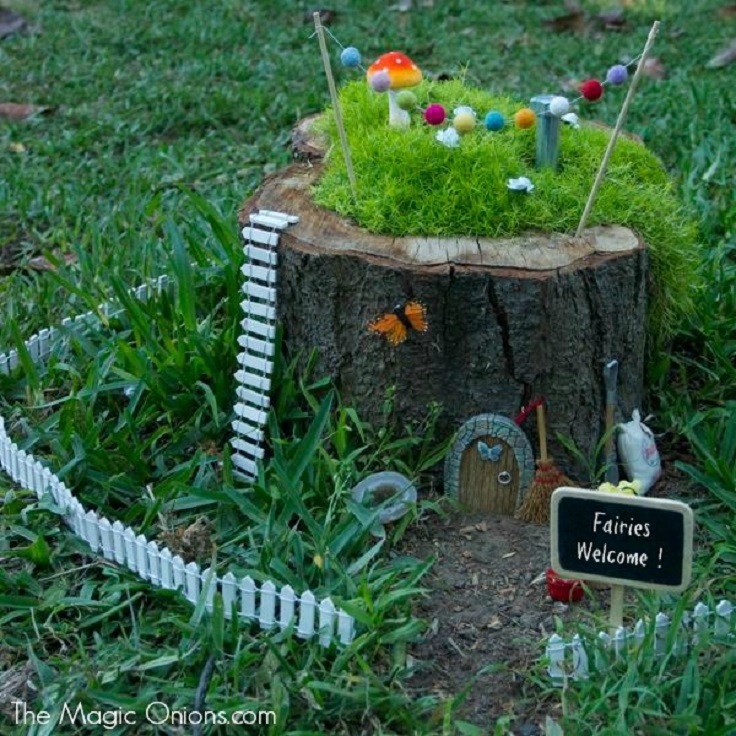 Design the fairy home your own way. If you have children this is a perfect weekend project. Love sky gazing? 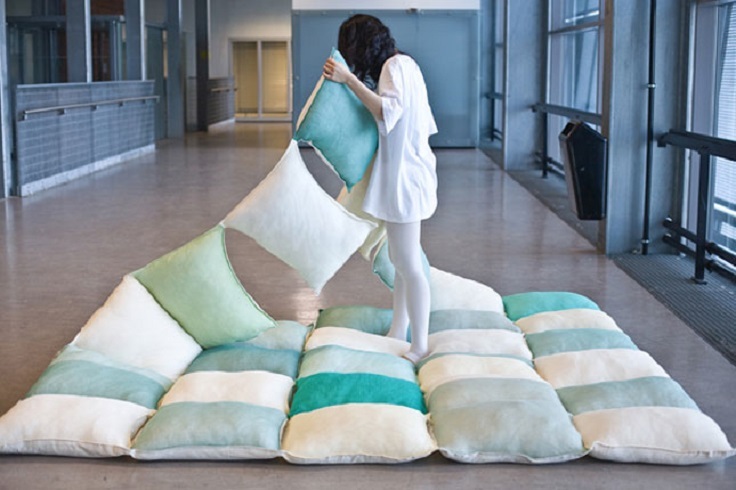 Get all of your old pillows and sew them as one giant pillow quilt. Snuggle in your backyard with your sweetheart or invite friends over and watch a movie in your garden. You will be feeling cozy and warm. You don’t need an expensive fence to edge your backyard. You just need some wine bottles. Turn the bottles upside down and bury them in the soil. 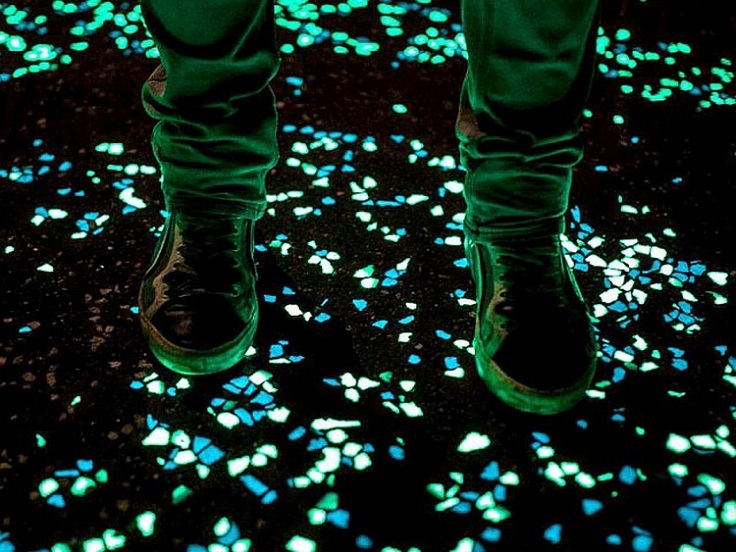 They look pretty cool and you can pain them with glow-in-the-dark spray to make them glow at night. Plant mini gardens inside of the rusty steel pipes. Simply gather rocks and fill the pipes, leave small space behind for the plants. 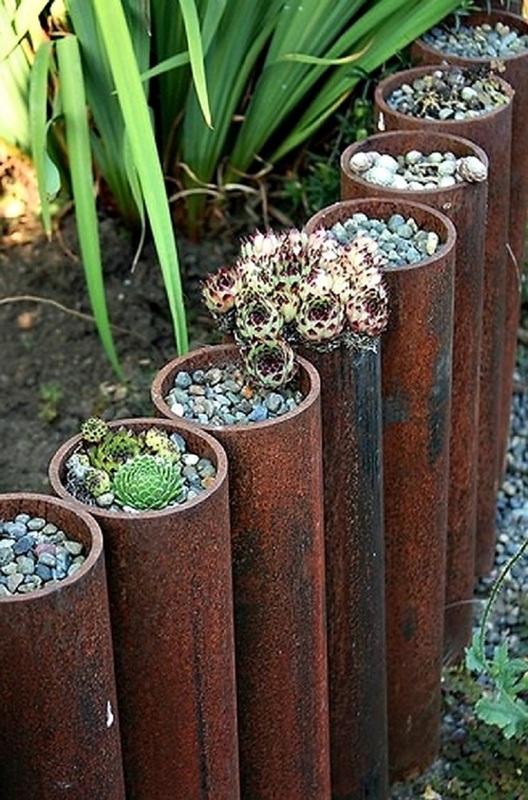 If you are filling the pipes with rock the best solution would be to plant a dessert plant like a cactus or a houseleek.